StClair Morris enjoyed a unique position in the education system of his adopted city of Leeds by becoming its first teacher of Caribbean-style music played on the steel pan. Mr Morris, who died last week, had come to Yorkshire from St Kitts at 16, and was, in addition to being a talented musician, a lay preacher and a “roadie” for other bands, for whom he drove a van. Deciding eventually to form his own outfit, he put together the Paradise Steel Band nearly 60 years ago. It was still playing on the week of his death. 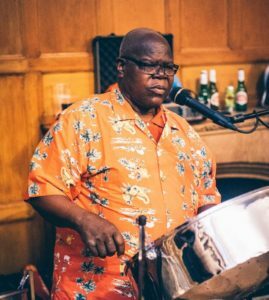 He became the first steel pan teacher in Leeds and probably England when schools were allocated money to help combat racism and promote arts from other cultures, at which point the Leeds Music Support Service bought a set of steel pans. Alongside planning lessons, choosing appropriate repertoire, and managing classes, he was required to transport his instruments from one school to the next. The children would meet him at the entrance and help him unload, and after their lesson they helped him re-pack, ready for the next school. Among his former pupils are players who now run their own school and music centre steel bands and at least one whose career has included a performance at the Royal Albert Hall. 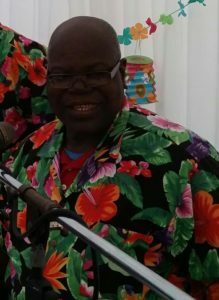 As well as teaching and performing in Leeds, StClair and his band toured the country and he was as well known among steel band players in London as he was back home. The annual carnival in Chapeltown was a highlight of his musical calendar, having become involved with it in its earliest years. His friend and former pupil, Victoria Jaquiss, who spoke of his contribution at this summer’s event, said: “StClair was a very generous man who allowed us all to do our thing with the songs and the instruction that he gave us.